Let’s face it: Branding is a big investment. To deliver a solid ROI, a brand must do more than generate awareness or differentiate you from your competition; it must “move the needle.” It must be a brand that sells. Brands that do this successfully share several key characteristics. Heart. A brand that sells makes a deep, intimate connection with its intended targets. It understands their needs, wants and desires; addresses their pain points, challenges or goals; and inspires action. Brains. All branding begins with who. It starts with solid research into three critical constituencies: Who you’re trying to reach, who you are—and who is preventing you from connecting the two (aka the competition). Vision. It also starts with a clear objective. How will you know if your branding investment is successful if you don’t know what you expect to achieve? Set KPIs (key performance indicators)—and keep your sights squarely focused on them throughout the branding process. Good bones. A brand is only as strong (and its ROI potential only as great) as its strategic platform. Built upon key (and hopefully research-proven) insights into your targets, unique selling propositions (USPs) and competitors, that platform clearly identifies the opportunity to disrupt convention and capture a unique market space that’s yours and yours alone. Good looks. Your brand must be captivating, fresh and differentiating (enough said). Great legs. Consistency is key. To be successful, your brand must “work” for all products and services and translate across all media channels, while remaining true to its essence. Ears. Never confuse “consistent” with “immovable.” Listen to your constituents. Not achieving your KPIs? Fine-tune your approach, then listen some more. 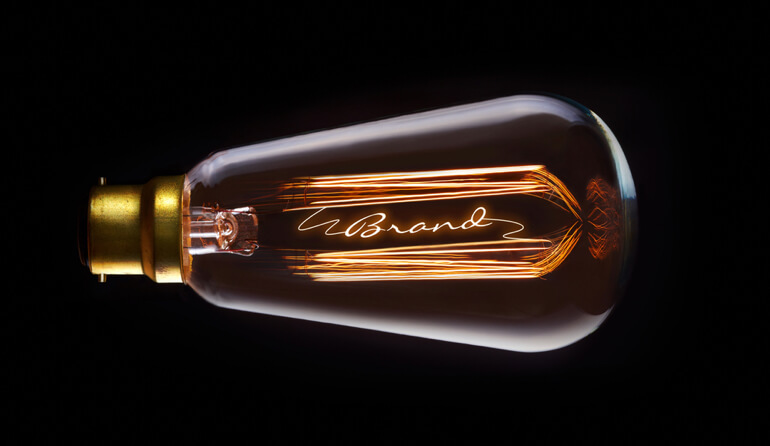 Even the best brand strategies need a tweak or two from time to time. Want to see a good example of a brand that sells? Take a look at our rebranding of Hudson Valley Federal Credit Union. With a research-driven brand platform strongly tied to the financial institution’s local roots, the resulting campaign is both community-minded and sales-focused, and it’s generating not only increased awareness, but sales growth in key categories. Remember, every opportunity to brand is an opportunity to sell (and vice versa). Creating a brand that does so effectively isn’t easy (or inexpensive). But when you do it right, it’s well worth the investment.